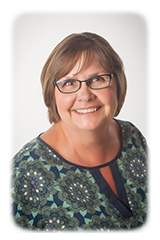 I am JoAnn Buse and have lived in Scandia since 1994 with my husband, Jeff and two sons. I manage the Security State Agency which is owned and operated by the Bank. I have worked in the insurance industry for over 25 years. I hold both my property/casualty license as well as health/life license. The Bank has operated an agency for over 80 years and I am proud to be part of many more years of continued service to the community.